Low-level information The depth() function returns the depth of the image. The supported depths are 1 (monochrome), 8 and 32 (for more information see the Image Formats section). The following image formats are available in Qt. Values greater than QImage::Format_RGB16 were added in Qt 4.4. See the notes after the table. The buffer must remain valid throughout the life of the QImage. The image does not delete the buffer at destruction. The buffer must remain valid throughout the life of the QImage and all copies that have not been modified or otherwise detached from the original buffer. The image does not delete the buffer at destruction. You can disable this constructor by defining QT_NO_CAST_FROM_ASCII when you compile your applications. This can be useful, for example, if you want to ensure that all user-visible strings go through QObject::tr(). See also QString::fromAscii(), isNull(), and Reading and Writing Image Files. See also scanLine() and byteCount(). 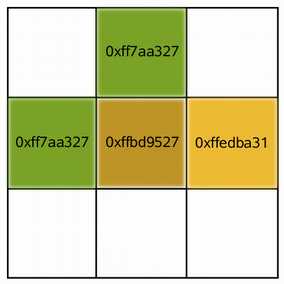 The image depth is the number of bits used to encode a single pixel, also called bits per pixel (bpp). See also convertToFormat(), Image Formats, and Image Information. For 8-bpp images, this function returns true if color(i) is QRgb(i, i, i) for all indexes of the color table; otherwise returns false. Loads an image from the file with the given fileName. Returns true if the image was successfully loaded; otherwise returns false. Loads an image from the first len bytes of the given binary data. Returns true if the image was successfully loaded; otherwise returns false. Warning: This function is expensive when used for massive pixel manipulations. 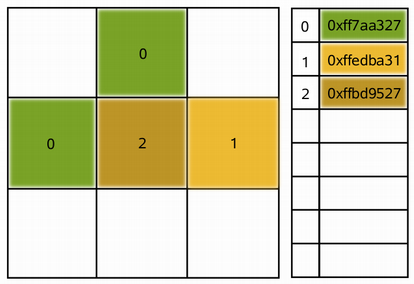 See also setPixel(), valid(), and Pixel Manipulation. See also bytesPerLine(), bits(), and Pixel Manipulation. If the image's format is either monochrome or 8-bit, the given index_or_rgb value must be an index in the image's color table, otherwise the parameter must be a QRgb value. If position is not a valid coordinate pair in the image, or if index_or_rgb >= colorCount() in the case of monochrome and 8-bit images, the result is undefined. Warning: This function is expensive due to the call of the internal detach() function called within; if performance is a concern, we recommend the use of scanLine() to access pixel data directly. See also QImage::save() and Format of the QDataStream Operators. See also QImage::load() and Format of the QDataStream Operators.